Yes, there is no doubt. This is officially announced at MWC this year. Nokia has made its first ever phones that will support Android apps. Meet the new Nokia X , Nokia X+ and Nokia XL. These are the first three phone in the company's portfolio that have capacity to play Android apps. This project is masterly planed by two big companies of technology Nokia and Microsoft to promote their services like "Sky Drive" and "Nokia Store" wrapped in Google's operating system. This is not a Google certified project. These phones do not support Google Play Store, G-Mail and Chrome. Instead the Nokia's own app store will work and the Android apps will be also available in search results. Nokia is also giving its own Maps instead of Google maps in these phones. 480x840 pixels resolution. Its body is similar to famous Asha 5xx series of the company. The display of this phone is capacitive and uses IPS technology with 16M colors. Its dimensions are 115.5x63x10.4 and weight is 127g only. 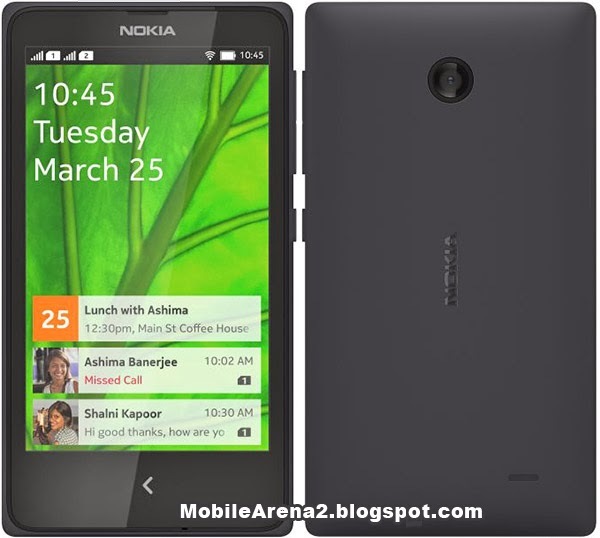 Nokia X has 1.0 Ghz Cortex A5 Processor and it use Snapdragon S4 chipset for faster performance. It has 512 MB RAM. It runs on Android 4.1 operating system. It has 3.15 Mega Pixels camera that has the options of panorama mood and face detection. Its camera record video of 480p at 30 frame per second. Expected price of this phone in Pakistan will be 13,000 to 15,000. 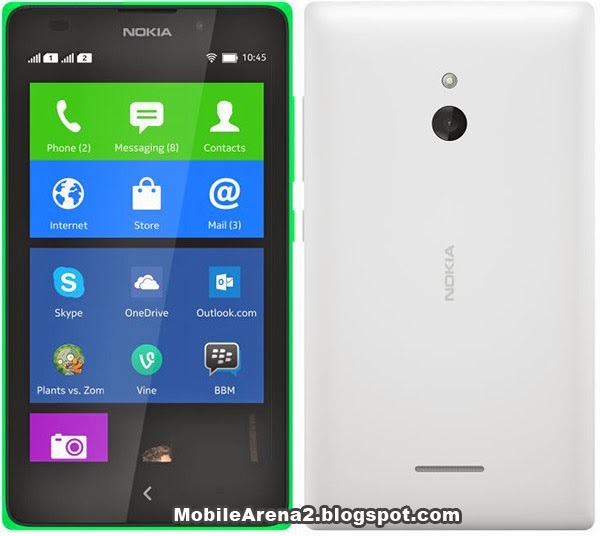 Nokia X+ is the same in size and dimensions as the Nokia X but its RAM is bigger than Nokia X. It has 768 MB RAM and 4GB internal memory . It supports micro SD card upto 32 GB. It screen size is also 4.0inch with the same 480x840 resolution that gives it 233ppi value. It has Snapdragon S4 chipset that is 1 Ghz Cortex A5 processor. It also runs on Android 4.1 Jelly bean and on the same pattern it also does not provide full fledged Android experience due to absence of Google play Store and other Google services. It also has the same 3.15 MP camera that records 480p video @ 30fps. Its battery is 1500mAh. Its back panel is removable as all of the X phones. It expected price in Pakistan is 17,000 to 19,000 PKR. The third phone of this family is Nokia XL. 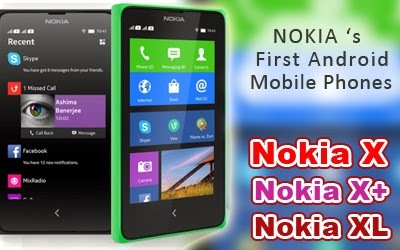 As it is obvious from the letter "L" its screen is larger than that of Nokia X and Nokia X+. It has 5.0 inch screen but the same WVGA resolution so the pixels per inch value is low in this phone and that is only 187ppi. 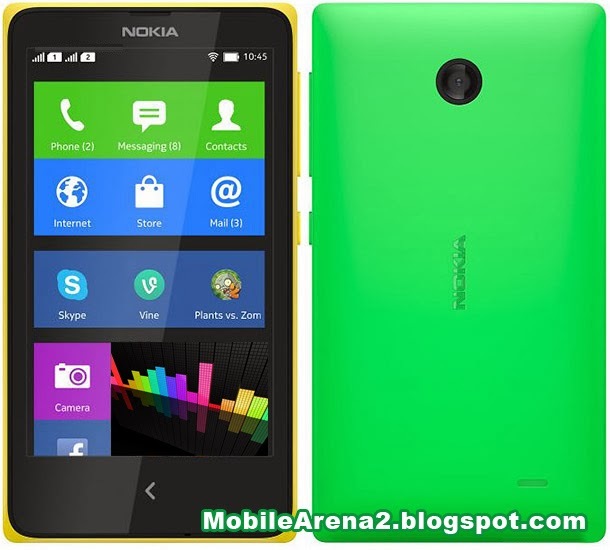 Nokia XL is also a phone that runs on Android 4.1 Jelly bean version of Google operating system. It has 141.4 x 77.7 x 10.9 mm of size and it weighs 190 grams which is quite enough. It has Dual-Core 1.0 Ghz processor and Adreno 203 GPU. Its camera is also superior than other phones of this family. It has 5.0 Mega Pixels auto focus camera pared with LED flash light . It has also a 2.0 Mega pixels front facing camera for video calling or chat. Bluetooth version 3.0 and Micro USB ports are also available in this phone . Its battery is 2000mAh which provides 16 hours of talk time and more than 15 days of stand by. 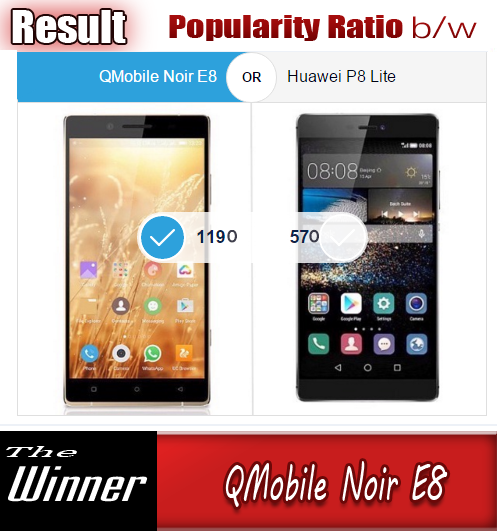 It is expected to launch in Pakistan in coming couple of months and its price is estimated between 20,000 to 28,000 PKR. All the three phones will be available in six different colors that are Yellow, Cyan, Orange , Bright Green , Black and white.